1. Big world, national and state events last week understandably overshadowed the news about an attempt by anti-reform, outside special interest groups and their out-of-state lawyers to undermine Wisconsin's Impartial Justice Law and to try to interfere in the State Supreme Court election. Ecstasy over the Green Bay Packer's Super Bowl victory, the outbreak of freedom in Egypt, and Governor Scott Walker's proposal to end collective bargaining rights of state employees all overwhelmed our other news. But last Tuesday, on February 8th, Wisconsin Right to Life, Milwaukee millionaire George Mitchell and Indiana-based national anti-reform lawyer and supreme guardian of the corrupt status quo in American politics -- James Bopp filed a temporary restraining order to stop Wisconsin's landmark Impartial Justice Law from being in effect during the current election for the Wisconsin Supreme Court seat currently held by the incumbent, Justice David Prosser. Bopp and Company sued to have the Impartial Justice Law overturned within weeks of its enactment into law in December of 2009 and a second lawsuit was filed shortly after that. But the verdict on those lawsuits was not expected to come until June of this year when the United States Supreme Court hands down its decision in an Arizona public financing case with some of the same issues as the Wisconsin lawsuit. But Wisconsin Right to Life, Mitchell and Bopp didn't want to wait. They arrogantly declared that because they expect the U.S. Supreme Court to rule in their favor in June in the Arizona case, that the matching funds provision of the Wisconsin Impartial Justice Law as well as the lowered contribution limits in our law ($1,000 down from $10,000 to candidates who decide not to abide by spending limits and utilize public financing) should not apply to the current State Supreme Court Election. A federal district court will rule on this invasive action in early March. Meanwhile, three of the four candidates in the February 15th Primary, including Justice Prosser, have wisely decided to abide by spending limits and use public financing instead of taking contributions from private sources. The 2011 election will be far less costly than state Supreme Court elections in 2007, 2008 and 2009. And less negative. And citizens will have far more confidence in the integrity and impartiality of the court as a result. Let's hope the courts agree and prevent the anti-reformers from ruining this election. 2. Cal Potter served in the Wisconsin Assembly from 1975 to 1991 and in the State Senate from 1991 to 1998 representing Sheboygan and Manitowoc with integrity and distinction. 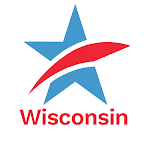 He was also a strong supporter of many of the government reforms that were enacted into law in the 1970's and which made Wisconsin a national model that other states looked up to as an example of honest, transparent and ethical state government. Those days are gone but we are lucky to have Cal join the Common Cause in Wisconsin State Governing Board this month. You can read why Cal is joining our board and about his impressive background here. 3. Photo Voter ID, disclosure of outside special interest phony issue ads, public financing of Wisconsin Supreme Court and other state elections, the infamous U.S. Supreme Court Citizens United vs. F.E.C. decision and the need (or not) for redistricting reform in Wisconsin are all issues that will be discussed and debated at an upcoming reform forum at the UW-Madison next Monday, February 21st in the Memorial Union. A panel of experts with a wide divergence of views will hash out the subject of political reform in Wisconsin with you - the audience. It's free and so are the refreshments. For all the details go here. Anti-Reform Outside Groups and Lawyers Run Interference in State Supreme Court ElectionTweet this!